SO WHO ARE WE & WHY SHOULD YOU LET US OPTIMIZE YOUR PAGE? We are one of the top rated local search engine optimization companies in the United States. We currently rank ourselves via our own local search engine optimization efforts. Considering every single competitor we have should be able to compete for spots like the one to the left this means we outperform our own competition and will crush yours! 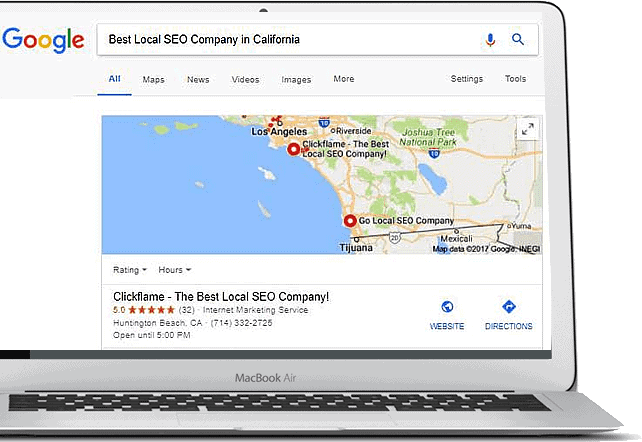 We’re also so confident that you’ll see results from the optimization services we perform that we offer a 100% money back guarantee if you don’t see an increase in your Insights tab from your Google My Business Page. Lastly, the price we charge is only $29.99. Are we getting rich from this service we provide? No we are not, what we are doing is showing new clients for a very small investment, what we can do to market their business. We are a five star rated company on Google, Facebook, Yelp and many other websites out there.